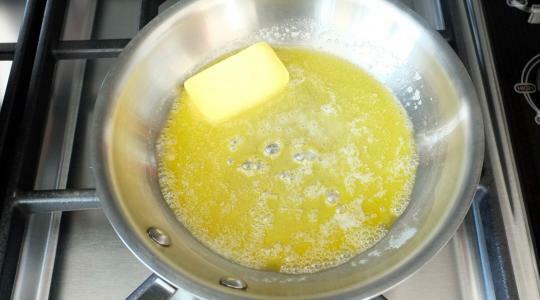 In a small skillet, melt the butter over medium heat. Let cool. 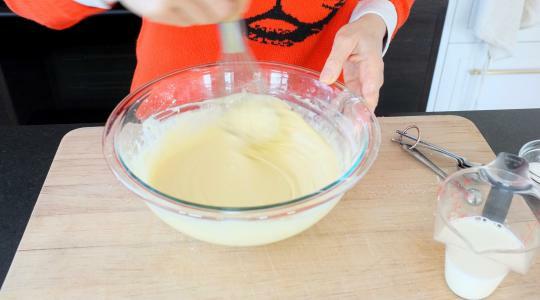 In a medium bowl, whisk together the eggs and add ¼ cup of the milk. Add the flour, sugar, and salt and whisk to form a paste. While whisking, pour in the butter then gradually (to avoid lumps) pour in the remaining 1 cup milk. Whisk in the vanilla. Let the batter rest for at least 15 minutes (the batter can be made the night before and refrigerated – you’ll just have to thin it out with a little more milk). Place a medium nonstick skillet over medium heat. Add about 1 teaspoon of butter and swirl to coat the bottom of the skillet. 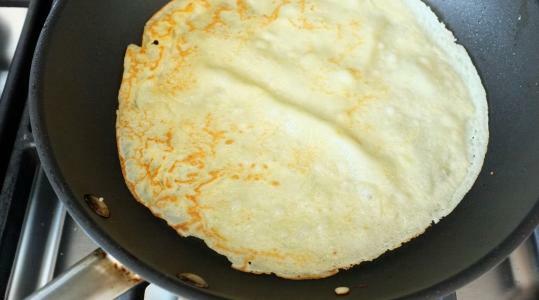 Pour in a scant ¼ cup of the batter and quickly tilt the skillet in a circular motion so the batter covers the bottom of the skillet in an even, thin layer. Cook until the underside is a light golden brown, about 1½ minutes. 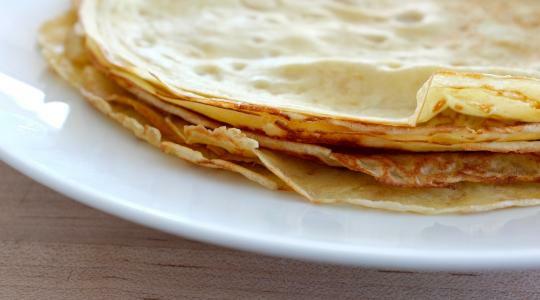 Flip the crêpe and cook another 30 seconds. Transfer to a plate and place in the warm oven. 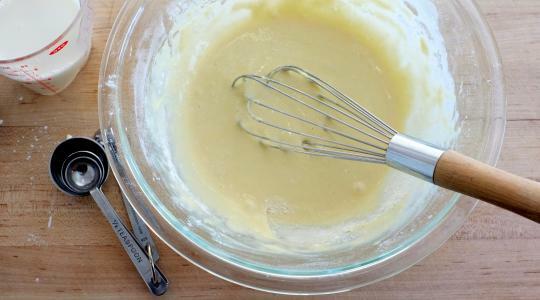 Repeat until the batter is gone. 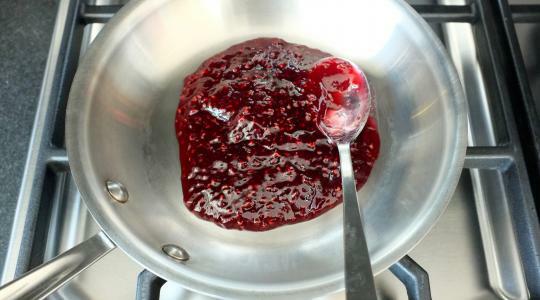 In a small skillet, heat the jam over medium heat. 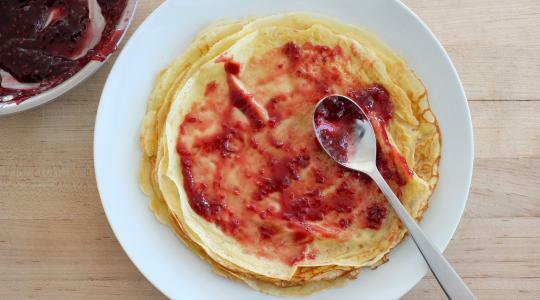 Spread a thin layer of jam over each crêpe and roll up. 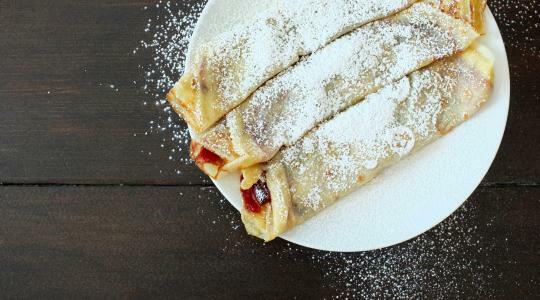 Dust with confectioners’ sugar and serve.